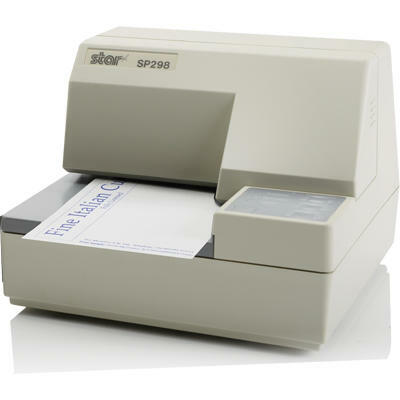 The Star SP298 printer is a fast, cost effective dot matrix slip printer suitable for printing both cheques and preprinted multi-part slips and forms. The SP298 features a high quality print head for printing graphics and special characters as well as AutoSide Loading™ for correct positioning and alignment of forms. The user can simply insert the form and the printer performs automatic document clamping, instant top of form alignment and selectable forward or reverse document eject. At only 180mm wide x 190mm deep, the SP298 provides a compact alternative to bulky desk top printers at the Point of Sale or in hotels, restaurants or pharmacies. When comparing like-for-like with our competitors, the Star SP298 is superior in both speed and print quality. With a print speed of 3.1 lps, it far exceeds the 2.1 lps achieved by what was once considered to be the market leading product. The 9-pin print head with true descenders allows for greater print quality when compared to those with a 7-pin print head. Star SP298 MD Serial Version. 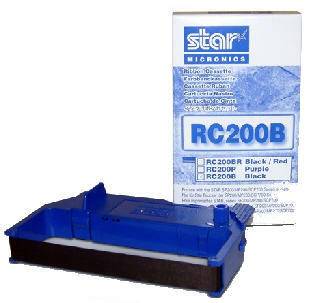 Star SP298 MC Parallel Version. 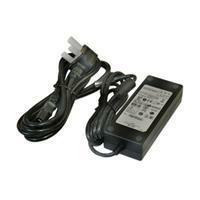 As this printer requires an external 24v power supply, please do not forget to order the Star PS60A PSU.